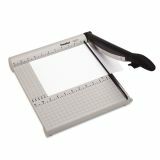 Premier PolyBoard Paper Trimmer, 10 Sheets, Plastic Base, 11 3/8" x 14 1/8"
Premier PolyBoard Paper Trimmer, 10 Sheets, Plastic Base, 12 1/4" x 17 1/4"
Premier PolyBoard Paper Trimmer, 10 Sheets, Plastic Base, 11 3/8" x 14 1/8" - Trimmer offers a virtually unbreakable molded base, ergonomic soft-grip handle and nonskid feet. 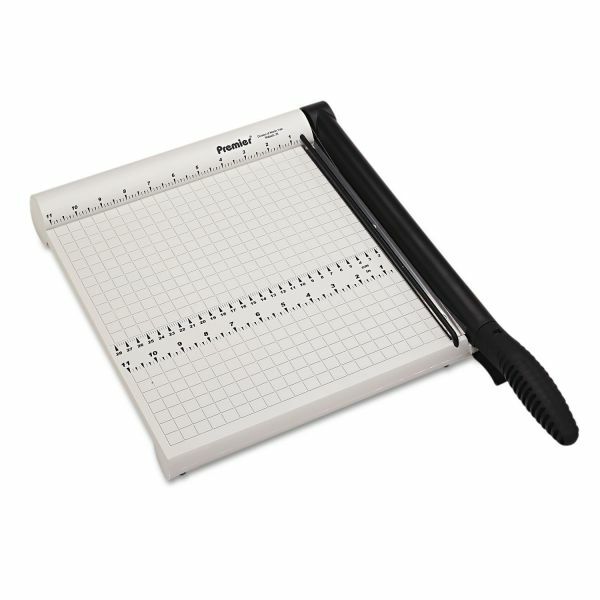 Self-sharpening, stainless steel blades accurately cut up to 10 sheets of paper. Patented, automatic blade latch locks with every cutting motion. Permanent, 1/4 measuring grid on trimmer won't wear out like painted grids. Imperial/metric ruler ensures proper alignment. Torsion spring keeps blade from accidentally falling. The finger guard protects the entire blade length."